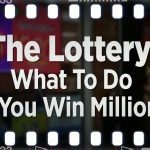 6 Reasons You’re Not a Lottery Winner – Yet! You either win, or you lose. That’s the outcome of any draw, and that’s the destiny of every lottery ticket. If you’re a lottery winner, you might disagree. You’re already a winner, hopefully, a jackpot one. However, there are players who struggle to overcome the challenges and get to the other side where and become part of the lottery winner community. Are you doing everything you should be? Let’s find out together. As obvious as it seems, this is necessary. 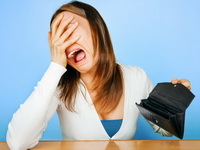 I’ve talked with people who are whining about how difficult it is to win the lottery. I hope they don’t have the same attitude when dealing with issues in other areas of their lives. So what do they do? They play for some time, like 2 to 3 weeks and they quit. You can’t win if you don’t play. 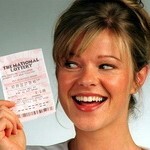 If you don’t have a lottery ticket in your pocket how can you become a lottery winner? Quitting takes away your winning right away. It strips away your lottery winning rights. Take part in every draw. I recommend you to buy your tickets several draws ahead, so there’s no chance of missing out on an opportunity to win. I’m 100% positive that if you do this, you’re 1 step closer to becoming a lottery winner. From the mathematics standpoint of view, every single combination of valid numbers has the same chances to make you a lottery winner. But in reality, there are ways to improve the odds of winning significantly. Over the years lottery players just like you joined forces to come up with a clear set of advice which will give you the edge to get closer to winning. Having effective number selections may not always bring you the jackpot home, but smaller prizes will become an everyday thing for you. Note that every ticket costs you the same, make it count. Don’t waste money on tickets with numbers; you know you can’t win. That’s insane! Instead, take a look at the past numbers, what numbers were the winning ones, etc. Adapt to the lottery you’re playing. No two lotteries are the same. Thinking like a winner is not enough. Do what winners do by copying their actions and after that, you can try to improve them. The internet is an endless source of great tips and valuable information on how to tackle the lottery. Brilliant people from all around the world are carefully looking for different ways of becoming a step closer to the much-desired jackpots. Most importantly, all of this is free. Besides your time and a bit of effort, it won’t cost you a dime. You can take things one step further. Believe it or not, some people are just like you in the same basket. They too are looking for insight and first-hand information on how to improve as lottery players. Lottery Clubs and Lottery Syndicates have gone online as well. As soon as online lottery became a thing I immediately looked at the opportunity to join a lottery club. You’ll be surprised by the tips and advice lottery players with long years of experience have to give you. The majority of them are successful lottery players; the closer you are to them the sooner you’ll become a lottery winner yourself. So you’re on the right path. You became a winner. You want to keep it that way. Doing the same things over and over again right is completely fine. However, there’s always room for improvements. Minor tweaks can put you way ahead of the competition. Experiment, test and analyze. See if you can become the next wonder lottery player. Remember how you got here. All this time you researched, kept going forward. Never settle for what you got. I’m convinced that you too are aware of this. You know that your set of numbers can become better. So what are you waiting for? Become a role model for other lottery players. After all, you’re a lottery winner now. Share your “secret” with your peers. Not only will they appreciate the advice, but they will give you constructive feedback. The devil is in the details. Maybe the tip you needed hides in some of your conversations with a novice lottery player. 5. Have Some Fun – It’s Not so Serious! Having a strategy and being informed about the best ways to win the jackpot is great. At the same time, an obsession with strategizing isn’t going to deliver the desired results every single time. Quite often, the millionaires are poorer and even uneducated individuals (at least one lottery winner in the US has been illiterate). The chances are that these people didn’t have an extensive strategy based on statistics and probability. So, remember to have fun and enjoy the process. Playing the lottery is all about the thrill. If it gives you that positive buzz, the chances are that it will eventually lead to the financial reward, as well. Winning the lottery is a marathon. It may take a long time, but you know where you’re going. You have everything in order. Now all you have to do is wait, be persistent and keep playing. Your chances will come. Make sure you buy your tickets for every draw. You never know when Lady Luck will smile to you. That’s the only way to be prepared. That’s the definition. Otherwise, everything can go down the drain. That’s all it takes. If you decide to take a break from the lottery, there’s still a chance that this might have been your day, your lucky ticket. Don’t listen to what unsuccessful fellow lottery players have to say. There’s a perfect reason why they’re unsuccessful. 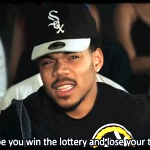 You are a lottery winner. And what do lottery winners do? They go all the way.